Whether you employ just 10 office staff or you run a 1000 employees business we are the local office removal firm you would like to work with! 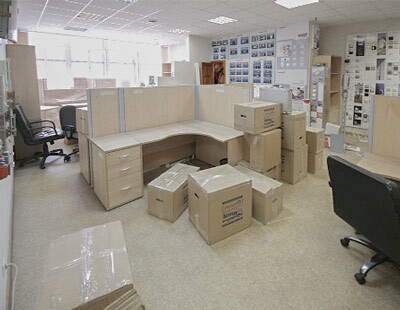 Every office relocation require proper planning and move management. We offer a free advice and consultation. We specialize in every type of commercial moves: offices, warehouses, machinery, libraries, colleges, hospitals, laboratories and many more! Free site survey. Get the exact moving quote. We provide first class packing solutions! Crate hire. Computers removals and server relocation services. 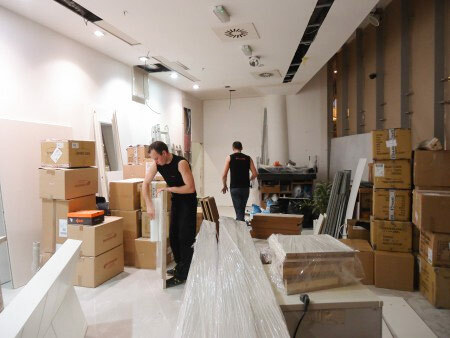 We understand that every office removal in London be it in North, West, East, South or right in the Central area to new premises is an unique event and must be carried out with minimal downtime to your business. Every office relocation undergoes comprehensive planning and analysis with a dedicated Move Manager or Project Co-ordinator to ensure a smooth, hassle free office removals. We will arrange a free site survey where our office relocation manager will assess your detailed removal requirements. We will then send a no obligation quotation and then confirm the details in writing if you wish to proceed. Cheapest London office moves are carried out by our man and van division. As a group of best office movers London we have extensive experience in moving businesses from various industries, in particular solicitors, insurance companies, accountants, barristers, finance advisors, banks, real estate, job centres, schools, pharmaceutical firms, food and packaging manufactures, as well as heavy industry. We specialize in corporate relocations in London and communication management between all contractors involved. In particular we have extensive knowledge in the management of difficult and complex office removals. We advise our clients on the most effective ways of relocating offices within the London city centre. We have all the necessary resources and tools to achieve specific, pre-planned office move plans. Removals East London are ideal for any type of project. Confidential documents shredding services - find out what paper documents can't be simply thrown into the bin. Discover what shredding services we can provide. We will make sure you confidential waste will be dealt with according to Government regulations. Office furniture removals offers first class planning and moving services available to both business and private sector. Professional but at the same time cheap commercial removals services are being provided by annually trained office movers and managers. Our removal companies London can successfully complete any type and any size of business relocation projects. Removals West London can accomplish each task with a great success. Office cleaning London - Our moving companies go much further than providing just the business removals services. We can clean your all or new office to provide a safe workplace. 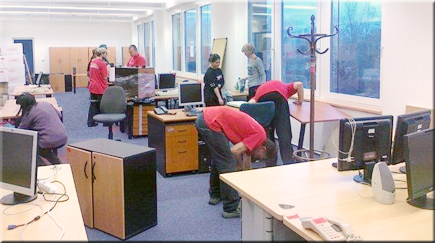 We leave each office furniture removals project clean, in the state you would like to find it. Removals South London has all you need to get your move done ASAP. You may be a small organisation, perhaps 20 - 50 employees, and need to move to a new location to accommodate your growing business. Some of the businesses we speak to plan to relocate themselves, using their own employees to do the lifting and heavy work. However the majority plan to use Office Removals London to relocate. We understand that in a small business there is a keen focus on office moving costs but choosing to move on your own may introduce unnecessary risk and loss to your business. It costs nothing to consult an office move specialists to get an idea of your business removal costs, you may be surprised at the value we can offer. You can contact us today to book cheapest office moves London service. Furniture Reconfiguration - Dismantling existing office furniture into its parts and reassembling the components into new arrangements. Office Movers London is well established national and international storage and commercial relocation firm offering a full range of moving services in all UK and worldwide. At Corporate Relocation London we offer removals at keenly competitive costs without sacrificing the quality of your office move. 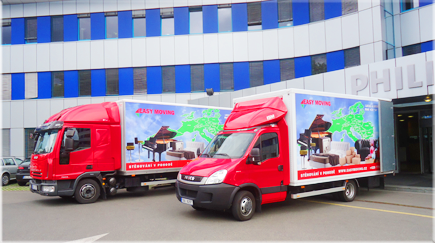 Our movers maintain a modern purpose built fleet of removal vans to suit all of our customer’s requirements. At last minute Removals London our skilled and friendly work-force recognise that the customer satisfaction is of paramount importance. Get office removals West Central London WC1 WC2. Cheap office move quote Russell Square WC1. Small business relocating companies Blooms-bury WC1 . Local commercial removals Euston WC1 . Professional corporate movers High Bornholm WC1V. Long distance relocation manager Aldwych WC2. Specialised project move manager Leicester Square WC2. National office removals costs Tottenham Court Road WC2. Cross country server removals Strand WC2 . Full service computer relocation Covent Garden WC2 . Top machinery moving companies Holborn WC2 . Cool office removal companies Shaftesbury Avenue WC2H. Smooth warehouse movers Charing Cross WC2N. Affordable server relocation Trafalgar Square WC2N. Executive office relocation West Central London WC1 WC2. Licensed commercial moving firms Russell Square WC1. Express business relocation services Bloomsbury WC1 . Cheap move management Euston WC1 . Local moving business High Holborn WC1V. Professional IT relocation cost Aldwych WC2. Compare Removals Stratford. Long distance office moving companies Leicester Square WC2. Friendly commercial relocation Tottenham Court Road WC2. Office removals Strand WC2 . Specialised industrial relocation Covent Garden WC2 . National corporate relocation services Holborn WC2 . Uk moving offices quote Shaftesbury Avenue WC2H. Best warehouse relocation Charing Cross WC2N. Top commercial movers Trafalgar Square WC2N. Cool business removals prices West Central London WC1 WC2. Affordable corporate relocation Russell Square WC1. Licensed IT movers Bloomsbury WC1 . Express factory removals firm Euston WC1 . Cheap office moving firms High Holborn WC1V. Small business movers Aldwych WC2. Local warehouse removals Leicester Square WC2. Long distance office movers Tottenham Court Road WC2. Friendly warehouse moving services Strand WC2 . Specialised office relocation services Covent Garden WC2 . UK safe removals Holborn WC2 . Are you looking for Dulwich Removals? Office removals East Central London EC1 EC2 EC3 EC4. Cheap office move quote Moorgate EC. Small business relocating companies Aldersgate EC1. Local commercial removals Farringdon EC1. Professional corporate movers Finsbury EC1. Long distance relocation manager Barbican EC1 . Specialised project move manager Clerkenwell EC1 . National office removals costs Holborn Viaduct EC1A. Cross country server removals Smithfield EC1A. Full service computer relocation Angel EC1V. Top machinery moving companies Goswell Road EC1V. Cool office removal companies London Wall EC2. Smooth warehouse movers Bishopsgate EC2 . Affordable server relocation Old Street EC2 . Executive office relocation Liverpool Street EC2 . Licensed commercial moving firms Broadgate EC2M. Express business relocation services Cheapside EC2V. Cheap move management Billingsgate EC3. Local moving business Fenchurch Street EC3 . Professional IT relocation cost Bank EC3 . Long distance office moving companies Tower Hill EC3 . Friendly commercial relocation Tower of London EC3N. Here you can see more about our demolition services. Office removals Monument EC3R. Specialised industrial relocation Ludgate Hill EC4. National corporate relocation services Temple EC4. UK moving offices quote Temple Mills EC4. Best warehouse relocation Fleet Street EC4 . Top commercial movers Cannon Street EC4 . Cool business removals prices East Central London EC1 EC2 EC3 EC4. 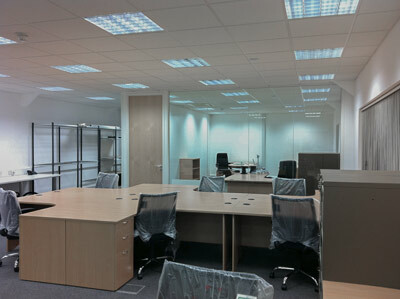 Affordable corporate relocation Moorgate EC. Licensed IT movers London Wall EC2. Express factory removals firm Bishopsgate EC2 . Cheap office moving firms Fenchurch Street EC3 . Small business movers Bank EC3 . Local warehouse removals Tower Hill EC3 . Long distance office movers Temple EC4. Friendly warehouse moving services Temple Mills EC4. Specialised office relocation services Fleet Street EC4 . UK safe removals Cannon Street EC4 .